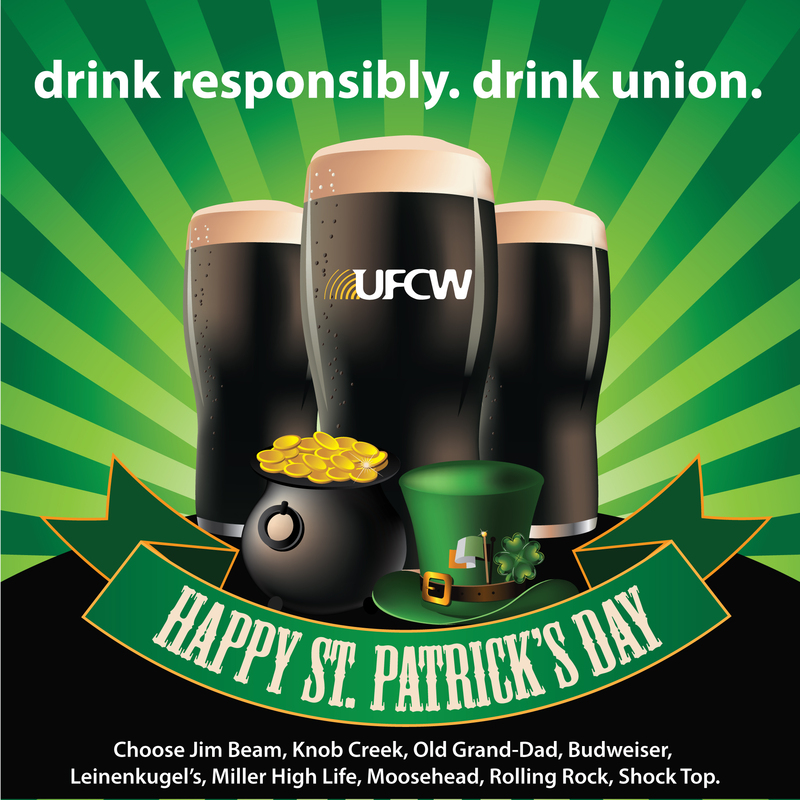 Celebrate St. Patrick’s Day the Union Way! 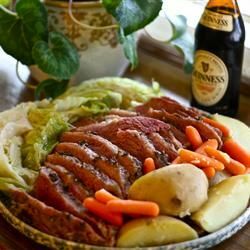 Even if you’re not Irish, it’s always fun to celebrate St. Paddy’s Day by sporting some green, looking for lucky shamrocks, or just eating some great Irish food! Garnish with the maraschino cherry. Make it union! 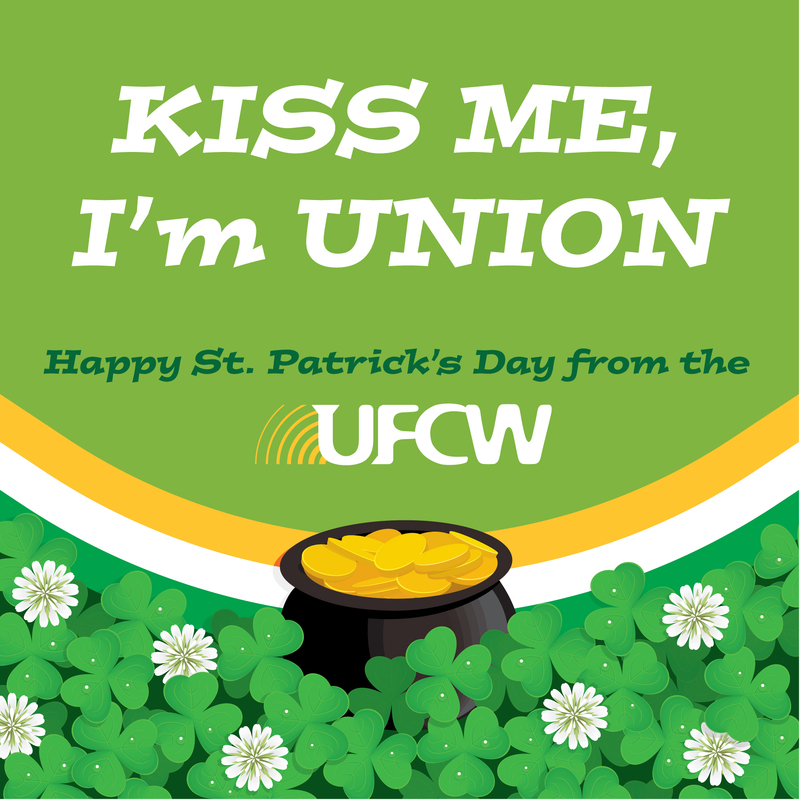 Great whiskey’s like Jim Beam and Knob Creek are made possible by UFCW members. Make it union! 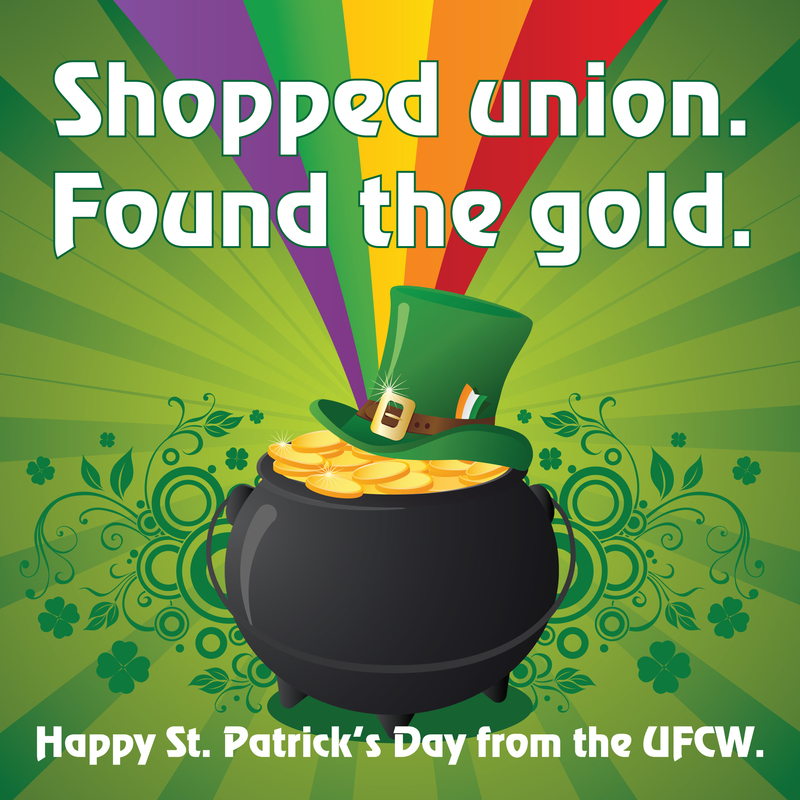 Use Saag’s corned beef, and support the union members at UFCW. Heat the oil in a large skillet over medium heat. Toss beef cubes with flour to coat, then fry in the hot oil until browned. Place the carrots, potatoes, onion, garlic, meat, and vegetables in a large slow cooker. Place the meat on top of the vegetables. Mix together the beef broth and tomato paste and pour into the slow cooker along with the beer. To thicken the stew, dissolve cornstarch in cold water and stir into the broth. Make it union! Beef made by Hormel and Always Tender is made by members of UFCW. Mix potatoes, cream cheese, 1/2 cup shredded cheese and garlic until well blended. 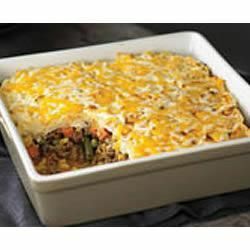 Combine meat, vegetables and gravy; spoon into 9-inch square baking dish. Cover with potato mixture and remaining shredded cheese. Bake 20 min. or until heated through. Make it union! Use Tyson’s ground beef, brought to you by UFCW members. KRAFT also employs members of UFCW, IBT, IAMAW, and BCTGM members.